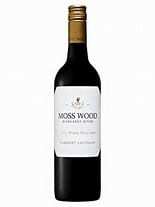 We introduce our Moss Wood 2014 Cabernet Sauvignon by talking about the weather, as the best way to highlight how good the vintage was. Yes, we always emphasise the weather and regular readers know our strongly held view that the quality of any vintage is largely the product of the vineyard and the growing season it experienced. As much as technology ensures we minimise the downside of poor weather or human error, ultimately, the quality we deliver in the bottle is almost entirely down to Mother Nature. The colour is deep brick red and condition is bright. On the nose the wine displays the full range of Cabernet fruit aromas – blueberries, blackberries and red currants, plus lifted perfumes of violets and pomegranate. As pretty as these characters are, underneath there are layers of leather, cedar and tar reminiscent of years like 1975 and 1995, adding significant complexity. The palate is similarly a rich expression of Cabernet Sauvignon, with the full array of ripe mulberries and cassis, giving rich fruit depth and length. The structure is very supple and sits underneath this generous fruit. The acidity gives the flavours vibrancy and the tannin is concentrated but rounded, so the effect is one of smoothness and length. The finish is soft oak, leather and tar. Limited stocks available of the Award Winning 2014 Cabernet Sauvignon. Please contact us to check vintage availability prior to ordering.